Finding the basketball shoe with the best traction is not an easy task. There are so many different models to pick from and shoes often perform differently depending on the quality of the court, your playing style and even the rubber compound used on a specific colorway. Fortunately, the web is full of shoe reviewers that can provide you with different opinions and give you a good overall idea of the performance of a basketball sneaker. To save you the time reading and watching all of these reviews I am continuously checking out all significant shoe releases and read or watch all shoe reviews I can find. 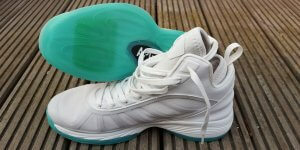 So far I have collected ratings of 81 different basketball shoes and consumed exactly 477 reviews in doing so! 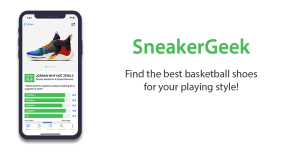 New reviews are added all the time to create a basketball shoe database that is complete and always up to date. 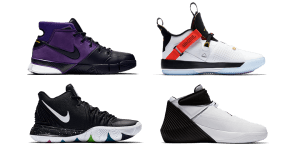 The following overview shows the ten basketball shoes with the best traction ranked by the average grade they received for it. Scroll down further to read a more detailed summary of each shoe. Great all-around performer at a very fair price! 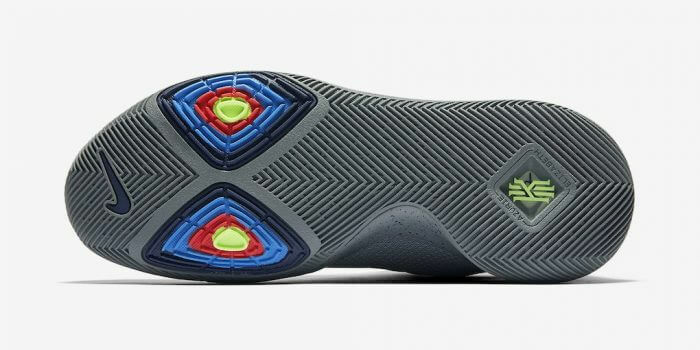 The outstanding feature of the Anatomix Spawn Low is the soft and pliable traction pattern that bites the floor like crazy - even on dusty courts. Another strong feature is the Micro-G cushioning that gives players a nice balance of impact protection and responsiveness. Less praise is given to the materials which don't feel great in-hand but still get the job done and the fit which gave some reviewers problems in the forefoot. Overall, the Under Armour Anatomix Spawn performs well in all categories and stands out with one of the best tractions in recent memory. How can I improve the traction of my basketball shoes? This one is self-explanatory. The grooves of the traction pattern become more and more shallow with time, which means you will need to wipe a lot more to get the dust off the surface of the rubber. If you don’t want to get your hands dusty and dirty from all the wiping then this is a great alternative. A courtside traction mat is usually placed close to the bench and you just step on it when you get subbed in or if you want to refresh your grip during timeouts. A lot of basketball teams use these traction mats to get an advantage over their opponents, especially on dusty and slippery courts. The Court Grabbers work similarly to a traction mat but instead of placing a mat on the side of the court you attach a pair of traction pads to the laces of your shoes. Before the game you apply a small amount of traction gel to these pads. Now, if you want to improve the grip of your shoes, you just slide the bottom of your shoes across the pad to restore the traction. If your traction is really bad and you need to wipe after every other possession then the Court Grabbers are much more practical because you don’t need a break in play. Which basketball shoes perform best on dusty courts? While it is not true for every shoe and every brand, in general, translucent colorways seem to attract a lot more dust than solid ones. If the grooves of the traction pattern are too narrow and shallow they will be clogged with dust quickly. As soon as this happens you will be sliding like crazy because the rubber of your shoe is no longer able to make contact with the floor. Another problem of narrow grooves: Wiping dust becomes so much harder! What’s the best traction pattern for basketball shoes? A multidirectional pattern has grooves in every direction which allows for grip not only when you accelerate straight ahead, but also when you do lateral moves like crossovers or defensive slides. Sometimes signature sneakers go crazy with elaborate little details and storytelling that look nice but actually hurt the performance. Don’t fall for flashy design if you want a basketball sneaker that performs well on the court – functionality should always come first!